Why is military to civilian transition like a white Christmas? 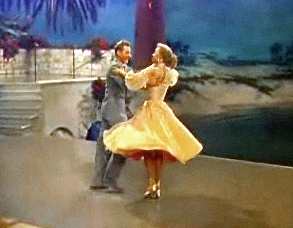 And by that we mean THE White Christmas, the largest grossing American movie musical of its day in 1954. Irving Berlin’s White Christmas captures the bond formed in service among soldiers and their leader. The “anything for an old Army Buddy” and loyalty to the “Old Man” who fought alongside them as a Muddy Boots General highlights relationships formed in those crucible moments. Soldiers dream of home while away and when they finally return they long for the comradery of a Family born in adverse conditions. Starring the famous crooner of the time Bing Crosby, double teamed with comic-dance-singer start Danny Kaye the movie features the songs of Irving Berlin. Rounding out the talented comedy ‘troop’ front folks are Rosemary Clooney and Vera-Ellen. 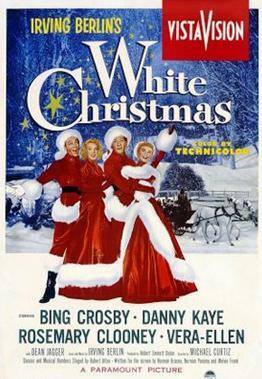 The film stars the famous crooner of the time Bing Crosby, double teamed with comic-dance-singer start Danny Kaye and features the songs of Irving Berlin. Rounding out the talented comedy ‘troop’ front folks are Rosemary Clooney (yes, George’s aunt) and Vera-Ellen (an amazing and petite dancer). 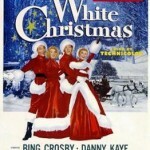 Film fans of the day heard “White Christmas” first sung by Crosby in the movie, Holiday Inn. 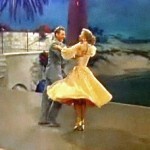 In fact, the same resort was refurbished for this film. A General experiences a change of command and fades into transition as a background part on a civilian stage. It is clear from these opening scenes that there’s an attachment of the troops to their leader – a man who commanded respect, and also got love and loyalty. The first of it’s kind, the pioneering large-area negative used yielded not only a finer grained film than the days 35mm format, but it also captured all the nuances of separation from military life and the longing for the camaraderie and support service members had for each other. Imagine, Christmas Eve, 1944. Somewhere in Europe, two World War II U.S. Army soldiers of the 151st Division’s entertaining their buddies at an advance camp set to move out the next morning. They are: Cpt Bob Wallace (Bing Crosby), a Broadway entertainer and his partner in their presentation, Pvt. Phil Davis (Danny Kaye) a ‘will-be’ entertainer. Word reaches the gathering that Major General Thomas Waverly, their beloved commanding officer, played by Dean Jagger, is being relieved of command. The number “The Old Man” becomes his last hurrah with the men as the chorus sing him out of an emotional farewell he delivers. Time passes and both “Bob” and “Phil” strike it big with their talent as they transition out of military service and revert to their natural occupations. They make the rounds of nightclubs, radio, and then on Broadway and even their own productions. Eventually becoming successful producers ready to mount a new musical. As fate would have it, they’re notified by their former mess sergeant to check out an act. The sisters who perform a memorable Irving Berlin number slay the hearts of the 2 men. The fellas spell each other off as perfect wingmen and give each duo a chance to get to know each other – one couple is on the dance floor giving space to the other at the dinner club table. If you are fans and annual viewers of this classic, you’d be humming: “The Best Things Happen While You’re Dancing” right about now. The sisters, Judy and Betty head for the Columbia Inn in Pine Tree, Vermont to help launch the new production. There’s not a snowflake in sight for their special Christmas holiday gig… hence the dreaming of a white and romance inspiring, magical time for potential patrons. Bob and Phil discover that their former commanding officer, Gen. Waverly operates the lodge. He’s invested all of his savings and all is in danger of being lost. No snow means no guests into the lodge, which is in danger of failing because of a lack of snowbound business. To bring business to the inn, Bob and Phil bring the entire cast and crew of their musical PLUS a call is sent out to all the old wartime brothers and sisters to come, too. Relationships, romance and critical remembrance of the army life in several ways is kindled as events unfold. Transition’s doors swing out of the army as soldiers flow back into civilian life and inward, for those who hope to rejoin the army life they miss. Some plot twists later to unravel and reconnect all the relationships in the civilian end of things, an incredible tribute is mounted to honor the General. The finale has all one would hope it would have given the quality entertainment values of the day and audience expectation for fulfilling endings. Nice combination of military family insight and movie trivia, Helena. It was a team effort on our side here, as we all love to watch this movie as an annual tradition! As a kid, it was my first introduction to the US military, to American Christmases and of course the bond to musical theatre and film. I wonder if it was something YOUR family connected with as you resided in different USA locations and overseas as a military family?